Police are investigating the murder of a Cocorite fruit vendor after he was shot and killed during a drive-by shooting near his fruit stall yesterday. Residents nearby heard the gunfire and called the police. St James police and the members of the Homicide Bureau visited the scene. 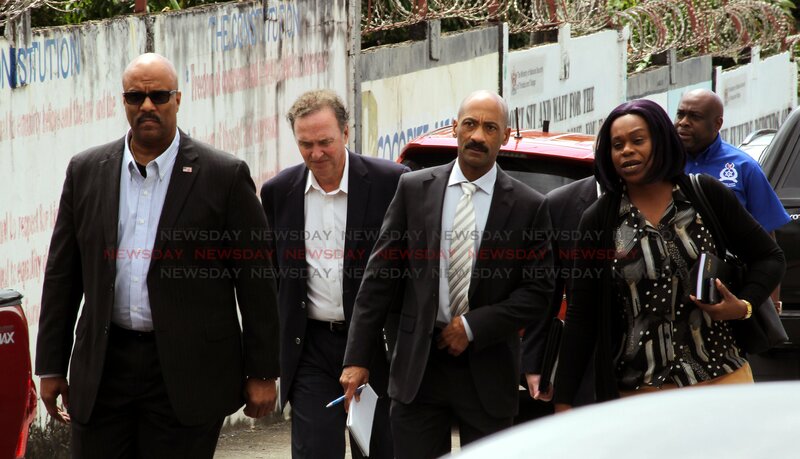 Newsday tried to speak to James' relatives but they declined comment. Sources said James was arrested and charged with murder last year, but was released when the preliminary inquiry could not find enough evidence to commit him for trial. Residents said they intended to be extra-cautious and were fearful of reprisal killings after James' death. Police sources said officers from the Los Angeles Police Department (LAPD) were there to observe and make suggestions on the collection of evidence and investigative work of local police. This was later confirmed in a media release from the TT Police Service which said the four-day visit forms part of the police service’s ongoing partnership with the LAPD in areas of intelligence and information exchange, training and education, and sharing of best practices. The police service said the visit of the LAPD officers were sponsored by members of the business community as part of the I Support our Service campaign. Reply to "Cocorite man gunned down, LAPD on the scene"